Our values. Our history. Our future. Nearly 140 years ago Alderman J. Simpson Yeates in his father’s jewellery shop with twenty-four youthful enthusiasts; some who could barely swim launched Penrith Swimming Club on its adventurous voyage. Alderman J. Simpson Yeates guided the clubs progress for the majority of his life fulfilling many roles such as secretary, treasurer and president. The club was originally based at Frenchfield in the River Eamont. Training sessions originally involved great variations of conditions that challenged the skills of any swimmer. Icy water, strong currents and obstacles like weed and the odd eel or two provided the ultimate test of stamina. It was all a far cry from conditions for today’s training sessions, held four nights a week at Penrith Leisure Centre. Still at the original site of Penrith Swimming Club the old diving-board is at the water’s edge where the original pool use to be. Many local people still have fond memories of ‘gan dooken’ here on warm summer evenings in the 1950s and 60s. 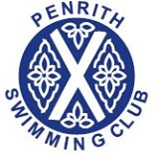 In 1971 the Frenchfield site was sold and the club relocated to Penrith Swimming baths and funded the Frenchfield training pool at Penrith Leisure centre which is used by hundreds of people each week including Penrith Swimming Club. Penrith Swimming Club inspired the teaching pool which was a later addition to the swimming baths this then allowed the Swimming Club to teach young aspiring swimmers.The teaching pool is formally known as the Frenchfield Teaching Pool in recognition of the contribution from the town’s swimming club. Members of Eden Council’s works and leisure committee agreed the club’s involvement should be officially recognised and a plaque erected. The initiative to build the learner facility came initially from the swimming club who contributed a donation of £30,000 towards the overall costs.The club raised the money through the sale of their former premises at Frenchfield on the outskirts of the town and through additional fund-raising. 1971 - The new indoor Penrith Swimming Baths were opened.